Cake Wrecks: Sunday Sweets: Heart Attack! But everyone else will probably like it, too. Aww. And that's really saying something, guys. Finally, chocolate icing done right! Don't the swirls look like little bird nests? Love the simplicity of those stripes. This technique of overlapping the edge with a heart border is genius. GENIUS, I say. I'm told this is Francois the Skunk, but by any name, he's stinkin' adorable. Hey, they got it right! The cake to mend broken hearts? Or at least put a few stitches in them, anyway. Every now and then I still have to explain to people that I don't hate cupcakes; I hate cupcake cakes. [ptooie!] However, this created a whole new misunderstanding when they started making those giant cupcake-shaped pans. 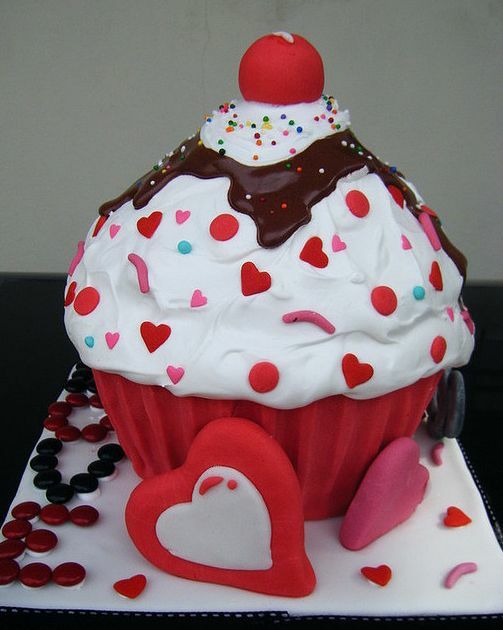 Granted, most of the cupcake-shaped cakes I've seen are also pretty wrecky, but the form itself isn't the problem. 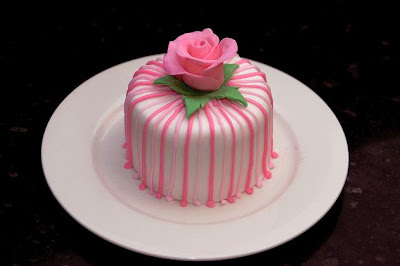 Seriously, check out the texture on the icing "icing." (Heh.) It looks like a gigantic spatula smoothed it on: just perfect! I'll take the owl and the center double heart, please. Everything she makes is sweet, simple, and absolutely flawless. In a really good way, of course. Now, who's ready [eyebrow waggle]...for love? Or maybe a slice of cake? CUTE!!! Since you took my owl cupcake, I guess I'll have the cupcake on the cupcake next to it. (I hope that made sense) I also love the "Bee Mine" cake and the "cupcake cake." That first one made me laugh, and I completely agree that the chocolate frosting on the second one looks great (and not at all like poo!). The skunk (despite the coloring, I was thinking bear, since no tail was in sight, so thanks for identifying that) is adorable. And the "stitched" cake is amazing. Thanks for sharing such delightful sweets! Love that box of chocolates cake and the fondant free cakes always get my vote. "I love you more than cake." But cake doesn't love me! You guys probably know this already from when it was broadcast in the UK, but Graham Norton did a great segment with your book. He showed baby shower Wrecks to Kate Hudson - including the famous carrot jockeys! Love these cakes! So pretty! 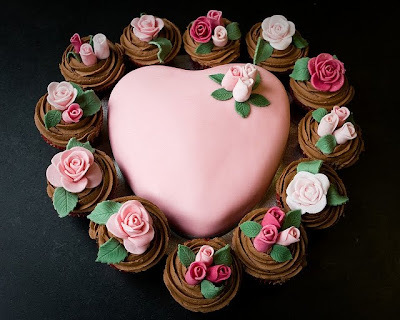 I once made a heart cake but it was nothing near the cute of these cakes! Wow! Every one is Fantastic! Great cakes today -- thanks very much. 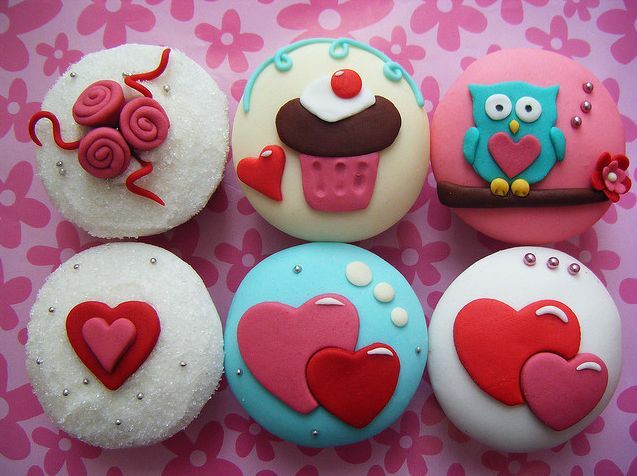 Ooh, those cupcakes are so adorable. The owl is too cute! That last cake is amazing...I want to give it to everyone. I think that the skunk is actually a Japanese badger called a tanuki. 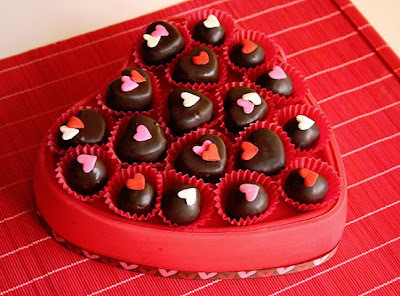 Super cute use of the two foil heart chocolates! The awesome heart ruffle with the bear totally looks like a Gingerbear. This was my favorite Christmas story as a kid. So my purpose today is to urge other single peeps to buy themselves lovely cakes, beautiful cupcakes, and/or stunning lingerie ( I found this place called juliannarae....) Celebrate the sensory!! Celebrate aliveness! And that is the end of my little talk, Pass the fudge cake, please!! 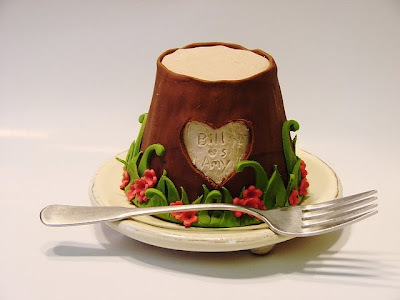 My friend Abby has an annual V-Day tradition (which she calls Hate Day) in which she makes a Hate Day cake. I think this one is awesome and worthy of an anti-Valentine's Day post. My mom will fight you over the owl cupcake! The artistry and imagination just amaze and inspire me. I sew and have done a couple of cakes definitely not in this class. The hat cake - wow. The bird nest cake, double wow. Thanks so much for what you do. You make life more "sweet" and I laugh so much at the wrecks. God bless you guys! wow!! I am lost for words with some of these! Absolutely adorable! 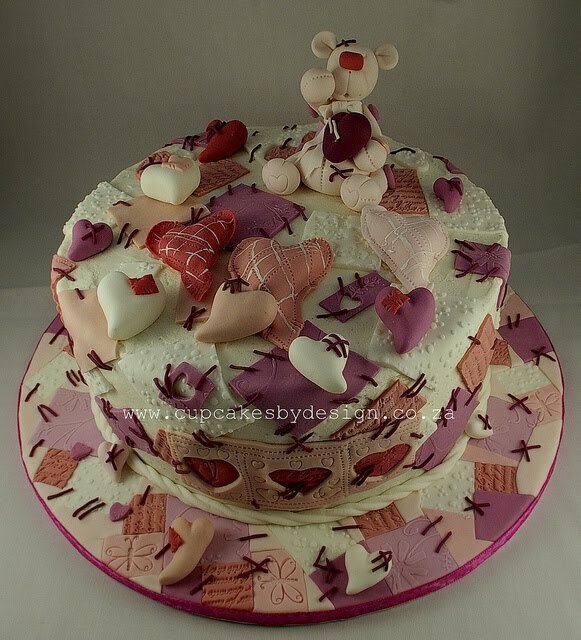 I love the stitched hearts cake and the one with the teddy bear holding the hearts. I'm a sucker for hearts and teddy bears both together. All the cakes are wonderful. ah! These are all sooo cute and awesome! I <3 this whole post!! 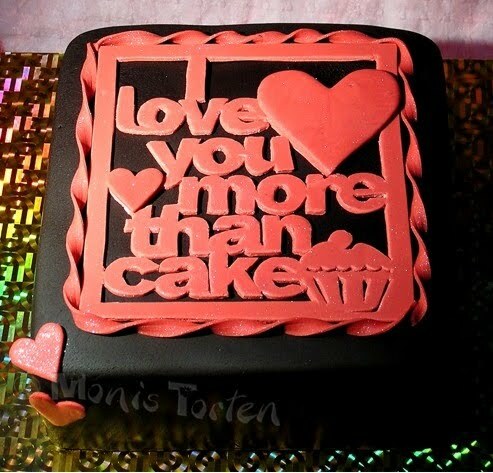 I might love you more than cake... but not more than the ICING!! SO MUCH CUTENESS IN THIS POST! GAAH! And seriously, anyone can love more than CAKE. But it takes a special someone to love more than...possums. "I love you more than cake." Notice he/she didn't specify what kind of cake. 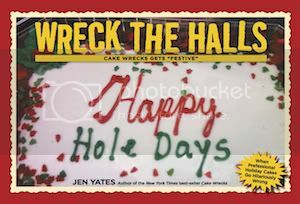 Real love would be "I love you more than reading CakeWrecks." But I'm not so sure such love exists. 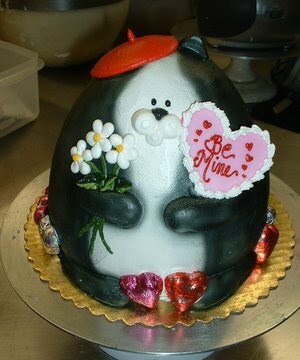 The "skunk" cake looks just a leeetle bit like Totoro to me. 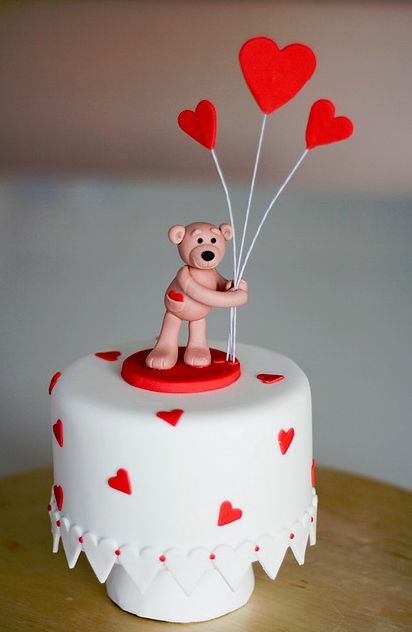 I love the heart in the teddy bear's pocket! These are delightful! So pretty! I'm hoping to get somewhere near this level of loveliness when I prepare hubby's Valentine's Day cake this weekend. Love the itty bitty bear with a heart in his pocket! Also the owl. Adorable! "Love is more than a word to me, you know? I love love, I love it! And if that's wrong, I don't want to be right!" I love these cakes. :D They are absolutely adorable. I especially adore the 'Bee Mine?' cake. If a guy gave me that cake, the answer would totally be yes. 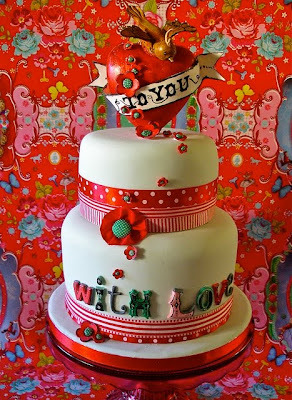 LOVELOVELOVE the second cake with the roses!!! SO WANT for my birthday! Maybe because I love roses. 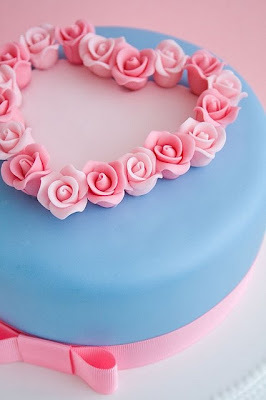 And the second cake with roses; so pretty. The roses looked like porcelain. These are all really pretty. I especially like the Box of Chocolate one! Candy and cake! I really love that second cake. That is such a wonderful use of cupcakes! It looks like a gorgeous wreath full of roses. Also loved the stitched one. So cute and seriously amazing! Oooh that beautiful heart shaped cake with the cupcakes around it made me squeal with glee. I adore all the cakes but I adore that heart one so much. Makes me want one for tomorrow lol. #2, 3, 12: The daisies on these are perfect! Seriously, those flowers could pass for real. Also on #2: so there is a shade of pink other than glow-in-the-dark, in-your-face, radioactive pink. Whoda thunkit? #6 "Life is like a box of choc-o-lates; you never know what you're gonna get." #10 At last -- sprinkles I can believe in! OMG!!! These are INCREDIBLE!!! I love the broken hearts one, its too cute!!! But I wouldn't turn any of them down!!! These are obviously all amazing, but I have to ask....why is it that so many representations of cupcakes (cupcake paraphenalia especially) have a cherry on top? It's not a sundae. I don't think I've ever run across a real cupcake that actually has this mysterious cherry topper. maybe I am just missing out on something that everyone else is quite familiar with? Love then all! Lols at the pink worm "sprinkles" on the giant cupcake, cute though it may be! Happy Valentine's all! It ALMOST makes me want to start celebrating Valentine's Day again....but nah. These are too too too beautiful. I love the patchwork one. 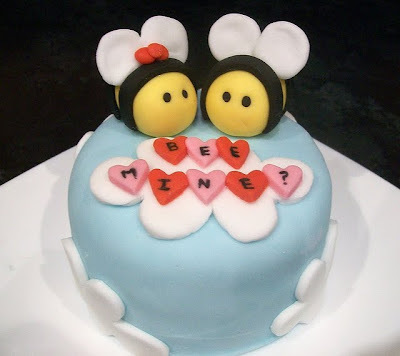 OMGSH thankyou for posting my 'Bee Mine' cake!! Seriously, i couldnt believe it when i saw it! That was one of my first ever cakes, and i was only 17 when i made it, so for it to be worthy of Sunday Sweets brings a little tear to my eye lol! Some of them are lovely and some are LOVERLY! my purpose today is to urge other single peeps to buy themselves lovely cakes, beautiful cupcakes, and/or stunning lingerie.. . . Absolutely love the skunk. Fabulous cake. Also, someone finally got the tree stump cake right. I still hate fondant though. My WV is "redard" and I could make a joke but it would be deeply inappropriate and offensive, so I won't. That stitched/quilted teddy cake has to be one of the best Sweets so far; not only does it look amazing, but it also manages to look delicious (something marzipan fails at, usually). That cake with the roses is pretty fantastic. Love, love, all of these. Those are the flippin' cutest bees in existence.